Abt Associates, a global leader in research and program implementation, is the external evaluator of an initiative seeking to overcome agricultural market barriers for smallholder farmers. 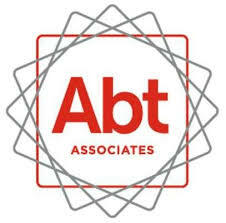 Abt Associations seeks one quantitative and one qualitative evaluation specialist for an upcoming evaluation of a diary productivity project in Tanzania. All candidates must have received a Master’s in agricultural economics, economics, rural sociology, or related discipline OR have received or are currently pursuing a PhD in one of those fields. The two positions could be combined for the applicant who meets both the quantitative and qualitative qualifications. If you think you qualify for both positions, please indicate this in your application. Assist in development and testing of quantitative survey instruments. Observe and lead portions of survey enumerator training. Perform quality control of data collection, including observing interviews, performing back-checks, and/or consistency checks under the supervision of the Abt team. Data cleaning and analysis, as needed. A minimum of 3 years of experience designing and managing surveys in developing countries. Familiarity with data collection software packages is a plus; experience conducting livestock and dairy productivity surveys preferred. Experience conducting evaluations in the agriculture and livestock sector, and experience working in the dairy value chain sector preferred. Basic data analysis skills, and familiarity with applied statistical packages such as Stata preferred. Working familiarity with randomized and/or quasi-experimental impact evaluations highly desirable. Tanzania experience required, and applicants based in Tanzania strongly preferred. Strong verbal and written communication skills in both Swahili and English. Assist in developing the qualitative research agenda. Assist in the development qualitative data collection instruments. In consultation with the home office technical team, interface with the in-country project implementer and Quantitative Evaluation Specialist on survey development, implementation, and data analysis. Conduct in-depth interviews with project stakeholders including government representatives, livestock farmers, livestock input and service providers, traders, processors, and consumers. Assist in the analysis of qualitative data under the supervision of Abt’s qualitative evaluation & agriculture expert and evaluation team lead. A minimum of 3 years of experience conducting qualitative research (key informant interviews, focus groups, etc.) in developing countries. Conceptual foundation in subsector analysis, value chain analysis, structure-conduct-performance, industrial organization, and/or experience in conducting qualitative research addressing rural livelihoods, agriculture, gender, private-sector development issues. Demonstrable understanding of approaches to ensure rigor and scientific validity of data collected through qualitative methods. Basic data analysis skills, and familiarity with qualitative data analysis packages such as Atlas.ti or NVivo preferred. Experience working in the area of smallholder agriculture and/or the dairy value chain desired. To be considered for one or both of these positions, you must meet the required qualifications. Interested applicants should submit their CV to the following email address: CIE@abtassoc.com. Please include the title of the position you want to apply for in the subject line. Only shortlisted candidates will be contacted.